Aside from the specific details of the charges, what the unravelling of events in recent weeks has shown is just how extensively this former prime minister and those around him have been prepared to blatantly lie to justify their actions and foist accusations on others in the process. Najib therefore has not just a record of denying the truth, he has come after those who spoke the truth with a vengeance and forced others to tell lies to suit his narrative. So what credibility will his denials hold, one wonders, against the charges themselves? It will be for the judges, thankfully, to weigh the facts. The Altantuya cover-up and the now rejected and discredited prosecution of Anwar Ibrahim were both managed by Shafee. Indeed, over the past few weeks Shafee has been publicly roasted by a high court jusge for having claimed to be the legal representative for Deepak Jaikashan in the Altantuya cover-up, when in fact Deepak complained he was being blackmailed to accept Shafee as his representative to enable Najib to control his submissions in the case. 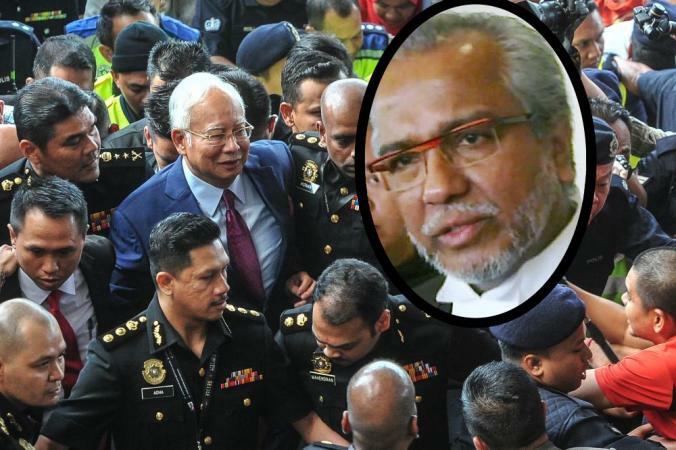 Last year Shafee attempted to sue fellow lawyers, including the present attorney general Tommy Thomas, for libel over their reporting of him to the Bar Council for improper conduct over the prosecution of Anwar Ibrahim. Shafee’s conduct during that prosecution had indeed been the subject of much concern on many levels and his libel case was thrown out by the judge on the grounds that the reporting of the matter to the Bar Council was well justified.